 We collect information about you when you first land on the PMR Consulting website (www.consultpmr.com/) and any page within the site. This information is collected and stored as website cookies on your computer and also into Google Analytics so that we can track demographics of the site to better serve users. When a user fills out the contact form on the website, details are collected and stored in a secure database. These details can then be used to send promotional marketing material and to make contact back regarding sales enquiries. Your details are not passed on to any third party organisations during collection or whilst we hold that information. You have the right to request a copy of the information that we hold about you. If you would like a copy of some, or all of your personal information, please send an email to info@pmronsite.com. You may opt out of the automated collection of information by third-party ad networks for the purpose of delivering advertisements tailored to your interests, by visiting the opt-out your Google Display Network ads’ preferences at www.google.com/ads/preferences. The dedicated server space running this website features security and maintenance patches weekly to ensure that the website is running at peak performance when dealing with information handling. The server houses specialised firewall settings and DDoS protection to stop any malicious attempts activity. The databases holding any collected data behind the website from the contact form areas are completely secured too.